Are you an enterprise software team leader or IT expert tasked with ensuring that your team's favorite Atlassian applications meet your company's enterprise-readiness needs? Are these applications business-critical to your teams' daily operations? Atlassian's Enterprise offerings for Cloud and Data Center are built for you. Join this session to hear Atlassian Product Managers explore Atlassian's enterprise-focused innovations. This includes the latest in Cloud security and scale, recent additions to the Data Center family (Crowd, HipChat), our continued momentum with features for high availability, performance at scale, deployment flexibility, and administrative control, and a review of our performance testing framework for self-hosted environments. We will also unveil some upcoming innovations on our Cloud and Data Center Enterprise product roadmap. Don't miss hearing about what other customers are doing with Atlassian's Enterprise Cloud and Data Center! 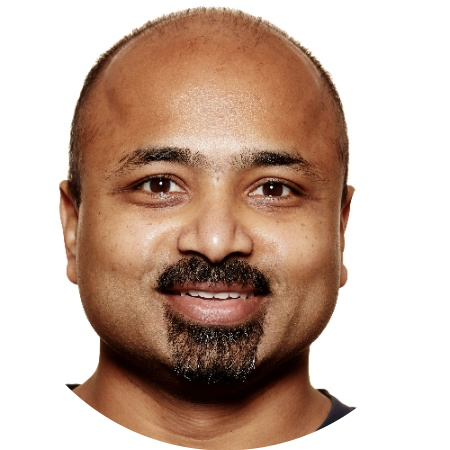 Keshav leads the product management team that is responsible for the vision and strategy of Atlassian's Server products including Jira, Confluence, Hipchat, Bitbucket and Bamboo. Prior to Atlassian, Keshav spent 20 years at Microsoft leading a variety of product management teams. In his free time, Keshav enjoys cricket, mixing bourbon and rye cocktails, and traveling the world with his wife and two daughters. He's traveled more countries than his age and his goal is to keep it that way!